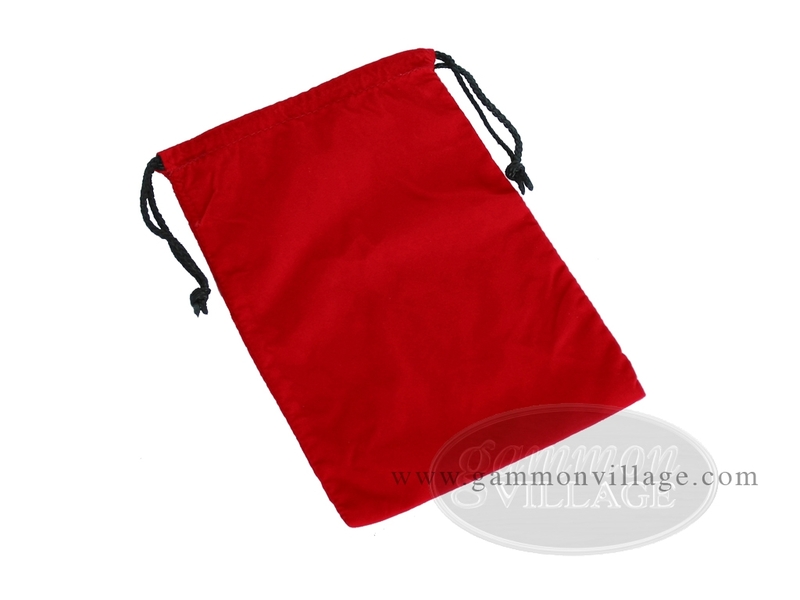 This large red felt dice bag with strong drawstrings can comfortably accommodate your dice, doubling cube and backgammon checkers inside a nice fabric interior. Keep your pieces safe, and save them from dust and scratches. It's the perfect way to store your precious backgammon pieces and keep them in tip top shape. Good quality, low price! Page P5668 Copyright © 1999-2019 GammonVillage Inc., USA. All rights reserved.